It is time to excite today's juniors because in not many months, they will be the seniors and hopefully your customers. We always suggest that a studio interested in doing seniors with or without a contract, invite in one or several small groups of juniors with the request that they be your "senior consultants" so you can produce what THEY want. With pizza and soft drinks you can learn from today's near seniors what it is that they are really looking for in their senior photography and not only will you learn about their wants, they will also learn that you had enough interest in their interests to ask them for advice. And at the same time, you will be educating them about your special skills and equipment. And if you have a background projection system, you'll blow their socks off with exciting new ideas. It's time to jump on this right now if you want the business. ﻿IT IS NOT JUST WHAT WE MAKE! By itself Virtual Backgrounds is just a tool that we manufacture for professional photographers. But in the hands of the professional Virtual Backgrounds has the potential to change their entire career. It can enhance their creativity and their profits and their overall success in the community. ﻿Most photographers have no idea how important the background can be to one's sales average. The more effort you put in to creating more variety, the more sales you will have. Make your proof set so powerful that you will get a complaint from your clients…a complaint you will want to hear. The complaining client may say, "There ought to be a law…I did not expect to spend this much on my photography". 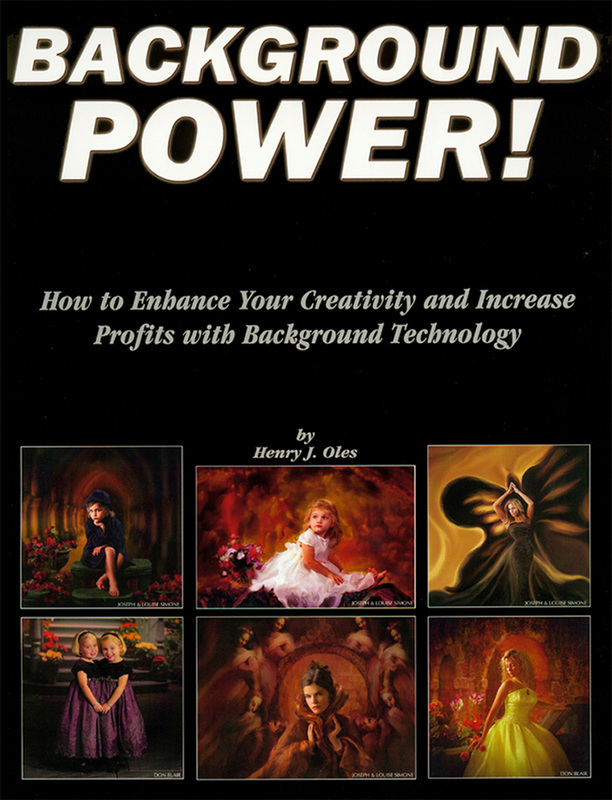 We have a book titled BACKGROUND POWER! You can download Background Power! 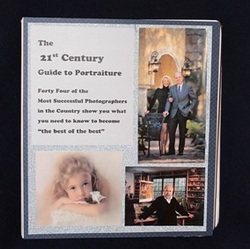 COMPILED BY B. LENSMITH AND ﻿44 OF THE MOST SUCCESSFUL PHOTOGRAPHERS IN THE USA. Bring most any old Scene Machine back to life with a new Power Supply and Flash Module. Originally $800 now $250 or $350 if mounted in a container for instant replacement. Also can be used for a backup if you have a big job this is your insurance policy. If you are in an emergency situation this will help you out. Backgrounds slides are still available and they work great as always. ​Want to see and try using virtual backgrounds? Call Cindy (Cofer) Barclay in Louisville Kentucky and visit her new studio to see how she has been using virtual backgrounds for many years to produce her outstanding work in portraits and now also video. Cindy's studio is also a sound studio for her husband's very unique and dynamic sound production. Watch this short video to get a personal invitation from Cindy to come visit. You will be amazed. Want To Learn More About VB? Virtual Backgrounds has a very extensive website with a wealth of information you can't find anywhere else. Learn what having Hollywood type backgrounds, generic as well as personalized, can do for you to help make you clearly different from everyone else. Want to see and try using virtual backgrounds? 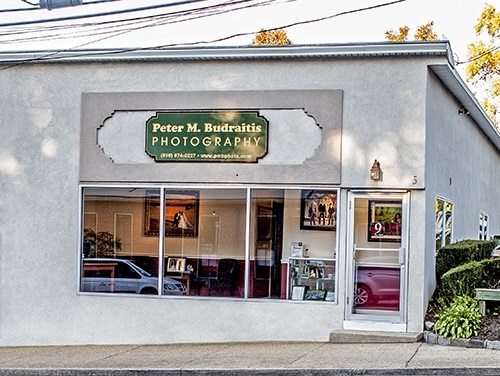 Call Peter Budraitis in Long Island, New York and visit his studio to see how he has been using virtual backgrounds for many years to produce outstanding work. It’s a nearly everyday occurrence that we hear moans and groans from professional photographers about how the digital revolution and what we called The Professional Photographer’s Perfect Storm has negatively affected their business. Even some of the newer photographers are complaining business is tough. 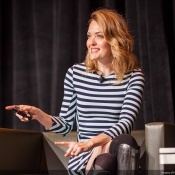 PPA picked the perfect person, Amy Purdy, as the headliner program for IMAGING USA to provide a highly inspirational presentation. Imagine being a 19 year old woman and coming down with what you thought was the flu, being rushed to the hospital and learning later that you had only a 1% chance of recovery and that you had both legs amputated below the knee and then later learning that you were going to lose both kidneys and needed a transplant. Such a realization would be life shattering to most people but Amy made the decision to deal with the set back and go forward as best she could. Most of America now knows that Amy was able to return to competitive snowboarding, and was the second place finisher on Dancing With The Stars, and has become a highly sought after inspirational speaker in America and beyond. Even though she was ill with a bad cold for her Imaging presentation, Amy delivered a phenomenal program. We all can take note that even when things seem dismal, it all is relative and fortunately there is a bright positive and profitable future for professional photographers who chart their course to effectively deal with the post digital revolution by concentrating on promoting and providing photographic services that amateurs and many other professionals cannot offer. It is just a matter of adapting to current conditions and working to overcome the obstacles. The adoption of virtual projected backgrounds is one of the most powerful technologies that enables the professional to chart a new and profitable course for their business. The Backgrounder newsletter frequently features photographers who are highly successful even in the age of smart phones, DIY and hundreds of thousands of new start up professionals. One just has to take a “smarter” approach to reach the goal. When Stanley Burgin of Mansfield England first heard about the existence of virtual backgrounds he knew he just had to have it for his studio. He contacted Peter Stanhope, the dealer for Virtual Backgrounds in England and Western Europe. He got one of the earliest models and soon sent us some sample images that were absolutely phenomenal. Stanley was not just a professional photographer. He was also a true creative artist and he used his Scene Machine to produce outstanding images. It quickly became a fundamental tool in his studio. He was the first and perhaps the only photographer to earn the Master of Photography in England submitting only images created with the Scene Machine. 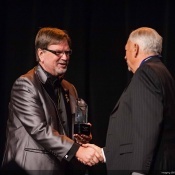 He earned many other awards with his virtual background system. VB has displayed Stanley’s images at many trade shows and in our demonstration studio in San Marcos Texas. Stanley eventually retired his first Scene Machine and purchased a new model with a larger screen. Even after he retired, he installed a studio in a small building in his back yard and continued using his Scene Machine. When Henry and Marian Oles and their granddaughter Madison Newton visited him a few years ago he enthusiastically photographed Madison with his Scene Machine and even talked about ordering a digital system even though he was in his 80s. He already was quite proficient with his digital DSLR. Until the end, Stanley created timeless images. Stanley Burgin will be truly missed but like any great artist, his images will live on. 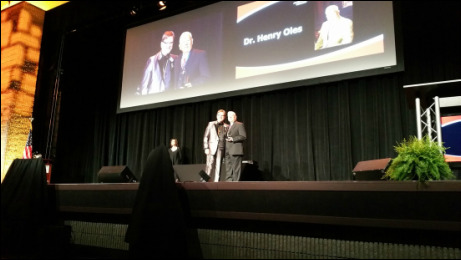 Founder and president of Virtual Backgrounds LLC., Dr. Henry Oles, was honored at the PPA Imaging USA awards ceremony with the presentation of the Technology Impact Award, primarily; for the development of the new digital virtual background system. 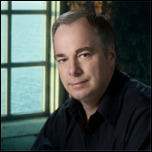 Dr. Oles, holder of the Photographic Craftsman degree, pioneered the development of the virtual projected background concept. He has been a well known speaker and writer as well as the developer of a variety of innovative products for the professional photographer. 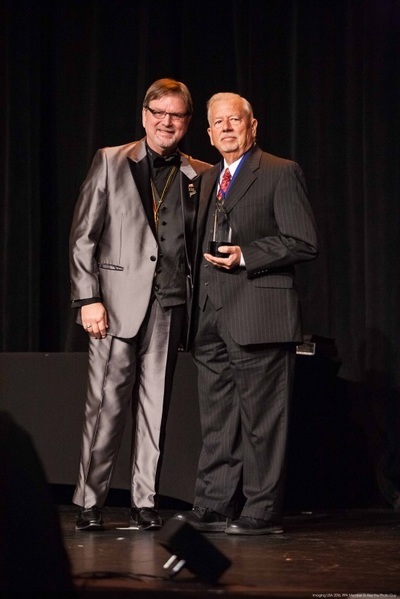 Last summer, Dr. Oles received the PPA National Award via the Texas Professional Photographers Association for his many developments and service to the photographic community. The #1 most popular and most comprehensive program to learn how to build a School Photography business. Did you know that Studios offering Underclass School Photography can earn some of the best money in the photo industry? Now is the time to diversify your studio business to bring in BIG money during the Fall and Spring seasons. This comprehensive 3 day program presents everything you need to know to operate a successful undergraduate school portrait and yearbook business. Just in time to Book Your Schools for Fall, 2016! Come early! Big Bonus Workshop! Church Directory Programs. Sunday February 28 & Monday February 29. Your Key to BIG Year-Round Income from Family Portraiture. It’s true! Church Directory Photography is one of the best UNTAPPED MARKETS for local studios. Almost every church out there does a Pictorial Directory program periodically, and most use an out-of-state photography company to do it. They’d much rather use YOU, a local photographer to do the project, but you’ve probably never approached them. Learn how to do it and make BIG MONEY in this market by attending this Workshop. Church Directory Programs can easily deliver 50-100-250 or more Family Portrait Sessions with just one contract. Fill up WEEKS of your Studio schedule with highly profitable portrait sessions. It’s not uncommon to do $5,000-$10,000 in sales in a single week! Virtual Backgrounds Special! SAVE $25 Use Discount Code "2016Save25" when you register! Workshop Venue: MCM Elegante Hotel & Suites - 2330 W. Northwest Highway - Dallas, TX. 75220 - Call (214) 351-4477 for hotel reservations and ask for group code "Marathon Press Group Rate".